In my family we have our differences, but we all agree that some of our fondest memories are from camping trips. Whether we were camping as a family or with my Boy Scout troop, we always loved getting out into nature. For our engagement trip my wife and I camped our way up and down the west coast of the country for two weeks. So you get the picture- we REALLY love camping. While I have traveled all across the US to almost all 50 states, I regret that on most of my travels I slept indoors. I became truly excited when I was given the opportunity to review the best campsites in the USA. Part of the reason is because my son is now at the age where we can venture out and experience some of these wonderful sites. Andrew is about to turn four and loves camping so much that he sleeps in a Star Wars tent on his bed so he can pretend to camp out every night. There is simply no experience to bring family or friends together like camping. After spending a day hiking, floating, or just relaxing you build a roaring fire and huddle around. After a hearty meal cooked over an open fire, s’mores are an absolute must. You crawl into your sleeping bag and get cozy under the stars. The lullaby of crickets and frogs soothes the soul as you fall asleep. Then you wake up to a crisp breeze and the sound of birds starting to stir as the sun comes up over the hills. It is time for coffee, bacon, and eggs flavored with the smoke from your fire. It does not get any better than that. Hopefully you can join me in the pursuit of visiting each of these sites. If you are looking for a camper’s paradise, this is your place. The Acadia National Park has 17 million acres of forest, most of which is pine trees. There are only a few places in the United States that are as remote as this park. It also has 6,000 lakes and ponds and 32,000 miles of rivers and streams. You do not get much more wilderness than that in one park. The waterways give you plenty of boating, fishing, and kayaking opportunities. It is located on Mount Desert Island, and the park is ideal for wilderness lovers of all ages. If you have ever heard about the highest point of the Eastern US coast, this is the spot. 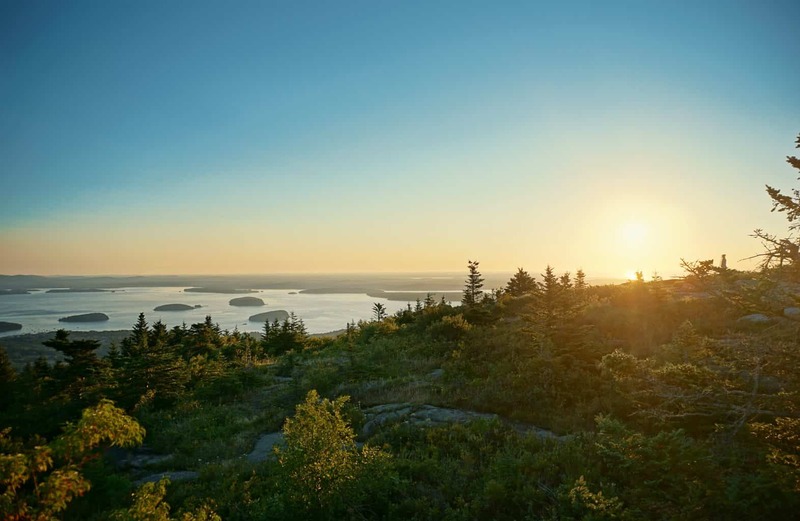 You can hike Cadillac Mountain and be the first person in the US to see the sun rise. That is one of those once-in-a-lifetime perks of being a camping lover. If you prefer camping wherever the trail takes you, please keep this in mind: You can hike the whole park but cannot camp the whole park. The Blackwoods campground is open year-round althoughyou need a permit from December through March. Seawall is open late May through September. And finally, Schoodic is open late May until Columbus Day. The Blackwoods campground costs $30 per site per night from May to October. Then $15 in April and November, and is free December through March. Seawall and Schoodic will cost $22 for walk-in sites, plus $8 to $18 for drive-up tent, camper, and motor home sites. Vermont’s Long Trail is one of the best features of the Green Mountain National Forest. It makes finding a place to camp along the way difficult. This trail is 270 miles long which makes it the oldest long-distance trail in the US. So as you can expect this alone brings hundreds of hikers every month. The path follows the ridge of the Green Mountains through Vermont from the Massachusetts border to Canada. It is a hike that most people would be thrilled to make once in a lifetime. The park allows camping pretty much wherever you like. There are five developed campgrounds. Unfortunately, they don’t have electrical hookups or dump stations. You will find beaver, moose, coyote, black bear, and white tailed deer in this area. It was created as a result of uncontrolled over-logging, fire and flooding. and Robert Frost National Recreation Trail. and approximately 900 miles of multiple-use trails. They can be used for hiking, cross-country skiing, snowmobiling, horseback-riding, and bicycling. Make sure to bring a good compass with you if you end up hiking there! Camping accessibility is permitted on a season by season basis, and there are times reservations are required. Backcountry camping is allowed anywhere if it is not posted otherwise. This is my kind of place ;-). At least one campground is open at any time of year, but to find the specifics check it with local authorities. There is no cost for camping in this park which makes it a winner in my book. You can get more information on the area here. This is another park along the Appalachian Trail, but a very rugged section of it. If you are up for the challenge, this park will give you a much more rustic experience. Fall is by far the best time to visit this park as the changing colors of the trees are breathtaking. There are 800 campsites and 24 drive-in campgrounds, but the eight walk-in campgrounds are the most scenic in the park. They are found in the Northern section of the park. Reservations are required for all campsites, but backcountry tent camping is allowed in most of the park. There are also dozens of log lean-to shelters throughout the park, which are perfect for how I like to camp. Entrance to the park is $5 per week or $3 per day. Campsites cost around $20 per night depending on which site you choose. With 1,200 miles of hiking trails and several ski areas in or near the forest, it is one of the most visited parks in the eastern US. It is the only national forest in either Maine or NH. The park is home to raccoon, moose, black bear, white-tailed deer, beaver, bald eagle, coyote, bobcat, foxes, porcupine, Canadian lynx, peregrine falcon, fisher, river otter, and mink. The White Mountain National Forest was created as part of the Weeks Act in the early 1900’s. In prior years, unregulated logging had drastically affected the area. Forests were prone to fires and flooding to the point that it started to affect industry in the area. The forest area started as a modest 7,000 acres but now has grown to over 800,000 acres of recreational area for us all to enjoy. This park includes the impressive Shawangunk Ridge which juts 2,000 feet above sea level. It adds a rocky terrain element to the park. It is only about a 90 minute drive from New York City, so it is an ideal location for anybody that wants to get away from the fast pace of the city. The park has 50 miles of trails for hiking, biking, and horseback riding. The landscape of this park includes lush forests, shimmering lakes, rocky cliffs, beautiful waterfalls, and whispering brooks. The best site for camping is the Samuel F. Pryor III Shawangunk Gateway. This site has 26 walk in spots and 24 drive in spots. It includes restrooms, a cooking area, a pavilion, and a bathhouse. Reservations are a good idea since they tend to run out of spots quickly. Camping is open May through November if weather permits. You can become a Mohonk member and pay $24 to camp or you can pay $38 as a visitor. Originally the property was owned by the Smiley family and two separate hotels were built. Over the years the two hotels were abandoned because of maintenance costs. Eventually they both burned to the ground and the state of New York purchased the property. In 2006 and additional 2,500 acres was added to the park. Unique ecosystems such as the Chestnut Oak Forest, the Pitch Pine Oak Heath Rocky Summit, and the Ice Cave Talus have allowed the inhabitance of several animals not commonly found in New York. They would include the bobcat and the timber rattlesnake. Swimming in Lake Minnewaska was all but shut down by the state. However, recently a club called SWIM has been formed to allow member to participate in distance swimming the lake. They are required to display their swimming ability, have insurance, and sign a waiver form. Despite the hassle, there are currently over 700 members. This is the first beach area to make our list and it is absolutely gorgeous. The seashore is actually a barrier island off the coast of Maryland and Virginia. The seashore consists of 37 miles of beaches along with salt marshes, forests, and bays. There is also a herd of wild horses that roams the beach. Beaches, camping, and wild horses… it does not get much better than that. Camping is only allowed on the MD side of the island. Also, some the available campsites have changed because of winter storms. Camping does not require a reservation from November through March. Reservations are required during the rest of the year. Normal camping is free in the offseason and costs $30 per night during the peak season. Horse camping is available in two locations and costs $50 per night. You can also feel free to enjoy backcountry camping, but it is only accessible by foot or by boat. A seven day pass to the park is $20 per vehicle whether you camp or just stay for a day trip. There are several ranger guided programs available to teach you about barrier island life including centennial special events. Over sand vehicle permits are available for purchase and range from $70-$150. To enjoy slaloming over the sand you must always carry a specific list of equipment to help you get free if your vehicle gets stuck in the sand. If you are willing to risk getting stuck, it can be a fun and thrilling way to enjoy the dunes. Kayaking is another great way to explore the island and see all it has to offer. Tours are offered by the rangers in the area. The scenery in this area is quite unique as short and tall grass prairies stretch between varieties of different rock formations. The hiking is quite challenging, so be prepared to step up to the challenge if you want to take on this terrain. It is also a great place to find fossils as this area was once an oceanic area. It is one of the best places in the US to find fossils. Because of the remote area and clear skies, this is also a great place for staring up at the night sky. There is an astronomy festival held every year in August. There are two campgrounds in which you can pitch a tent. Cedar Pass is a bit more modern with some amenities while Sage Creek is much more primitive. If you want to go backcountry camping there is no permit required, but you do have to register before you head out. Camping is allowed year round. It costs $15 for a one week pass for one vehicle to enter the park. Camping at Cedar pass is either $13 or $30 depending on whether you need electricity or not. Backcountry camping or camping at Sage Creek is free of charge. Many bison still roam the plains and sleeping at Sage Creek means that you may have a herd wander through your campsite at some point. The landscape of this area has been described as alien with eroded buttes, spires, and pinnacles popping up between the gentle prairies. While it is one of the most remote destinations in the US, Denali is definitely worth the trip. It offers some of the most untamed wilderness you will ever see. The park consists of over six million acres of gorgeous scenery and has some of the most challenging hiking trails in North America. Mount McKinley is the primary feature of the park and boasts the tallest summit in North America. Despite the challenge of climbing this peak, there are plenty of trails designed for beginners as well. Backcountry camping is available, but rangers are quick to warn campers. It is a challenging climate so do your research before planning to camp in the wilderness of this park. Compact binoculars might come in handy. There are six established campgrounds with 291 sites available. All campgrounds are reachable by foot but none by car. A minimum three night stay is required for camping. There are no charges for winter camping. Make sure to bring a cold weather tent with you,it can get really cold out there! The campsites are open based on weather conditions depending on road closures. The cost for one vehicle to enter the area is $10 per vehicle. That allows you to stay for seven days. 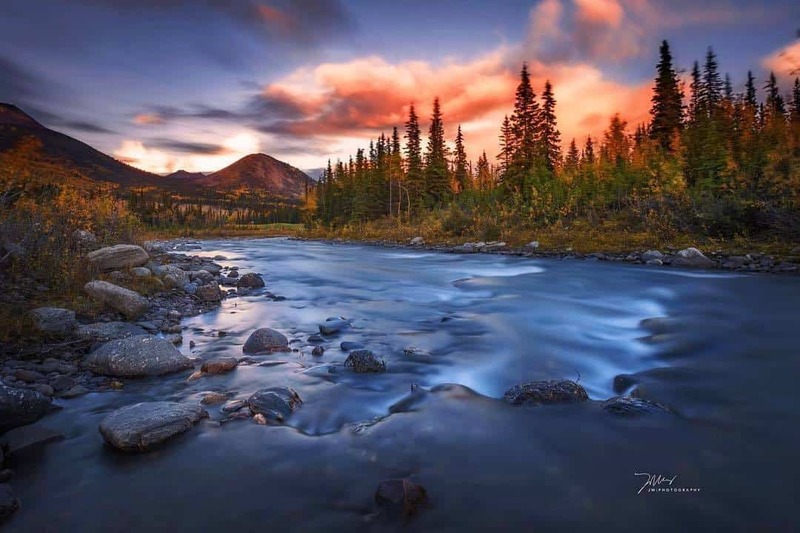 “Denali” means “the high one” in the local native language. There was much controversy around the name of the park. The locals preferred the name Denali, while politicians preferred to honor McKinley. In the end the park was renamed Denali. About 16% of the park is covered in glaciers. The largest glacier is located on the North side of the mountain range, while the largest number of glaciers are located on the south side. The weather in the park is very unpredictable. Typically you can expect long, cold winters with short cool summers. However, snow has been seen even in July. Normally the weather is drier on the north side of the mountain range and there is more moisture on the south side. You really have to be prepared for any kind of weather in this park. Almost all of this park is designated as a wilderness area so there are almost no buildings, roads, vehicles, or electricity. If you really want to rough it and enjoy the wild, this park could be ideal. The primary attractions of this park include the High Sierra Peaks, the Half Dome rock structure, and the Yosemite Valley. There are several trails you can hike whether you are experienced or a novice. Climbers also love to go after the Half Dome. There are 13 campgrounds found in the park and backcountry camping is allowed with a free permit. It is highly suggested that you book a reservation for campsites during the peak season, but some are first come first serve. The campgrounds are open year round and a seven day pass costs $30 per vehicle. Campsites cost anywhere from $6 per night to $25 per night. The park includes about 750,000 acres and stretches across the western portion of the Sierra Nevada mountain range. Yosemite sees about four million visitors each year, and 2016 saw a record number of visitors with over five million entering the park. It was designated as a World Heritage Site in 1984, and is known worldwide for its granite cliffs, crystalline brooks, cascading waterfalls, and redwood forests. This park is quite unique in the type of nature you can see. The elevation varies from 2,000 feet above sea level all the way to peaks at 13,000 feet above sea level. There are more than 160 rare plants found in the park, and plenty of rare geological structures as well. The name of the park comes from the native word for killer and was named after the tribe that was chased out of these mountains. Prior to this event the area was named “Ahwanee” or “big mouth” in the native language. You might not think that camping in the desert would make for a good time, but the arid beauty of this landscape is definitely worth a visit. This part actually sits on the convergence of two separate deserts. The east side of the park consists of the low and dry Colorado desert. It meets with the high Mojave desert with cooler temperatures and more moisture. There are 10 mountain peaks of decent size that are beautiful and ideal for climbing. Each of them is over 5,000 feet above sea level. The park is ideal for long hikes as long as you have plenty of sunscreen and water with you. Joshua Tree has nine campsites. Unlike most parks, the campsites in this climate suggest reservations during the cooler months between October and May. Backcountry camping is allowed year round as long as you register before heading out. You can enter the park with one vehicle for seven days, and the pass costs $20. You can also get an annual pass for $30. Camping at a designated camp site costs $15 per night if you bring your own water. For an extra $5 the site will supply you with water. 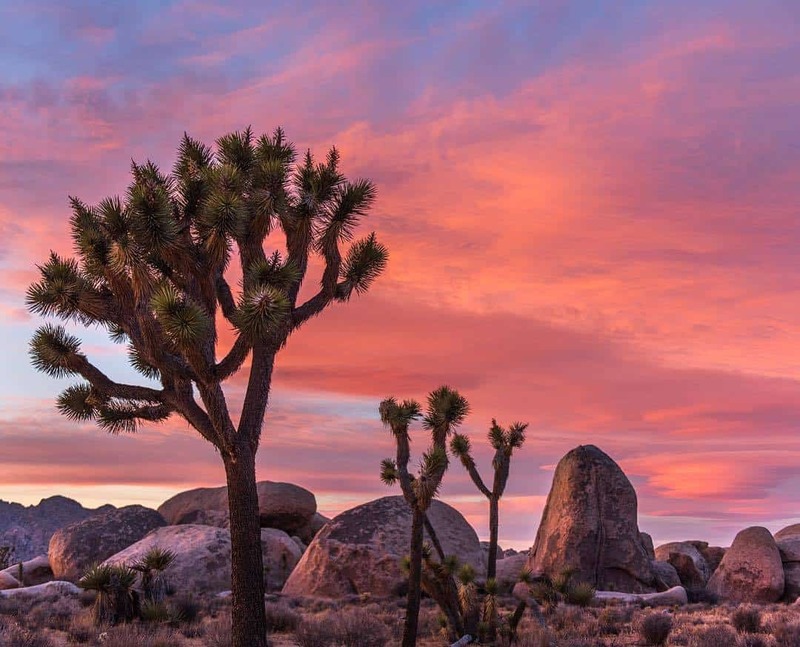 The Joshua tree is the most distinctive plant on the horizon of this park. It is part of the Agave family, and has been used by every group of people to live in this area. It is still used by most of the animals in the desert for food or shelter. Barker Dam is a good place to spot some of the wildlife of the park. It is not uncommon to see desert bighorn sheep and mule deer in this area along with smaller desert species as well. This park has one of the widest varieties of ecosystems you will find in a park. I enjoyed camping here a few years ago and cannot wait to go back. Visiting the Quinault Rain Forest is like stepping into another world. It is one of only three rainforests in the Western Hemisphere. In this area there are plenty of trails for hiking and you can visit the largest Sitka spruce tree in the world. Head to La Push beach, the best spot in the area for spotting whales migrating off the coast. You can also stop by Ruby beach for one of the best views in the state. From the sand you can see glaciers, rain forests, and mountains making it one of the most scenic spots in the park. There are 16 established campground to choose from within the park. Backcountry camping is allowed year round as well, but reservations are sometimes required. For $20 you can get a seven day pass for a vehicle. Camping at a designated site costs between $15 and $22, and backcountry camping costs $5. The rainforests of this area receive around 150 inches of rain per year making it the wettest spot in the continental United States. The Olympic Mountains rise high above the surrounding land with the tallest peak reaching almost 8,000 feet above sea level. Because of its isolation, the area is home to a unique mix of plants and animals. There is a heavy population of black bear, cougar, Roosevelt elk, black tailed deer, and mountain goats. I would recommend you bring a pair of compact binoculars if you are into watch wild animals! The park even has a not for profit ski area at hurricane ridge where you can take a lesson or just hit the slopes. This rocky desert area is one of the most alien and most beautiful parts of our country. Sandstone arches and washed out crevasses give visitors plenty of sights to see. There are still thick forest areas that are ideal for backcountry camping. The Kolob Canyons have two different hiking trails that are perfect for any hiker. One is a longer trail for a full day, while the other is shorter for a half day. The 14 mile trail will take you past the Kolob Arch. This is one of the largest natural arches in the world, and the setting is absolutely gorgeous. Another destination to visit in the park is the Subway. This tunnel structure is only safe to visit during the summer when water levels are low. It was carved out of the rock by a small creek. The park has three campgrounds that are open year round, but they stay packed most of the year. Your best bet is to reserve a spot in advance. Entrance to the park costs $30 per vehicle for seven days. Wilderness permits to stay overnight cost $10 to $20 per group depending on the size of the group. Designated camp sites range from free to $15 per person depending on the site. Make sure to bring a powerful flashlight with you! It can be really helpful when it gets dark. The Zion Canyon is the largest landmark in the park and was carved out of the sandstone by the Virgin River. As is often the case with these parks, there was a great deal of controversy around the name of the park. It was originally named Mukuntuweap National Monument because of the Native American presence in the area. However, with a large Mormon population moving in the name was changed. Those in charge felt that a name that was easier to pronounce would be less likely to deter tourists. With Zion being prevalent in Mormon culture, the change was made. If you want to check out a unique ecosystem, the Everglades is likely a good choice. This area has beautiful scenery and wildlife that will amaze you and possibly scare you. This 2,400 mile park is the third largest in the continental United States. For activities you have plenty of trails on which to hike or bike. You can also use a canoe or kayak to further explore the Florida bay, the marshes, or the mangrove forests. You can also hire an airboat to take you out further into the wetlands. Plan on seeing lots of unique wildlife including alligators, snakes, dolphins, manatees, and possibly even a black panther. There are two drive in campsites that you can consider. If you want to head deeper into the forests you will be doing so either by boat or by some carefully placed footsteps. Backcountry hiking is for the adventurous in this park. For $10 you can bring one vehicle into the park for seven days. The designated campsites cost $16 to $30. Backcountry camping costs an additional $10 for a permit. The park is listed as a Wetland of International Importance, International Biosphere Reserve, and a World Heritage Site. It is one of only three parks in the world that appear on all three lists. Over one million hikers, boaters, and campers visit the Everglades National Park every year. More so that just about any other park, this park was created to save the wildlife and the ecosystem. With urban development pushing animals out of their homes and boat traffic killing manatees, the park has made a huge difference in this area. This is the end of our list! Let us know in comments which spot you liked the most! Great list. I’m gonna plan my next trip to Acadia national park!